The Provence, France is a magnificent place to plan your next holiday where you will find it to be the ideal spot for some relaxation. 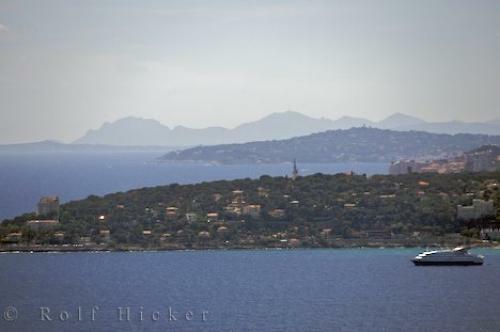 Photo of a beautiful holiday spot on the Corniches de la Riviera in the Provence, France in Europe. ... Coastline of the Provence looking from near the Italian / French border, Cote d'Azur, Corniches de la Riviera, France, Europe. I photographed this photo with the digital SLR camera model Canon EOS-1Ds Mark II, aperture of f/7.1, exposure time of 1/400 sec. on ISO 100, as always I used a original Canon Lens, the focus lenght for this picture was 350mm.